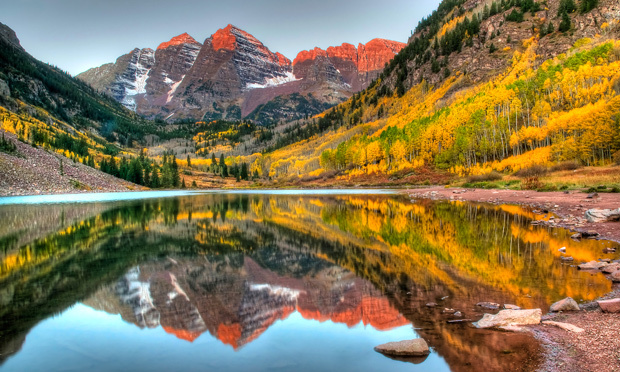 Now is the time to plan your annual fall getaway to the Colorado mountains and take in all this magnificent state has to offer. But where to go? Here is a foursome of time-proven itinerary suggestions! Lower temperatures across the Southwest — coupled with an increasing frequency of high-mountain snows — is a sure sign that Coloradoans are on the cusped of a glorious new autumn. 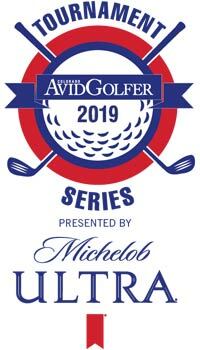 This is the time of the year when golf courses are often in peak condition and Mother Nature is unabashedly illustrating her penchant for brilliantly tinted countrysides. 1) The San Juan Skyway is a breathtaking, 232-mile loop in the state’s southwest corner, transporting leaf-peeping aficionados from Durango to Dolores, Telluride, Ridgway and then — from Ouray to Silverton to Durango — over an unforgettable, white-knuckle ribbon known simply as the Million Dollar Highway. 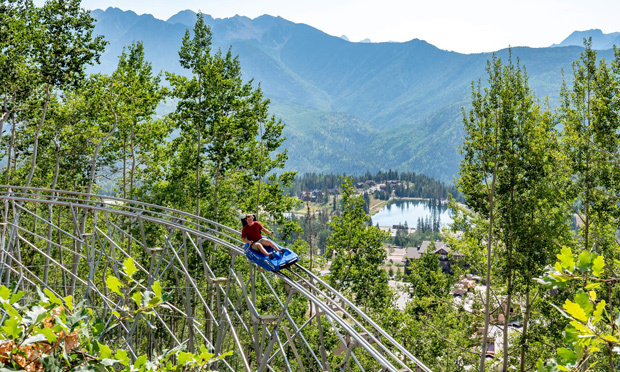 On your way to Durango, go test the just-opened Inferno Mountain Coaster at Purgatory Resort. 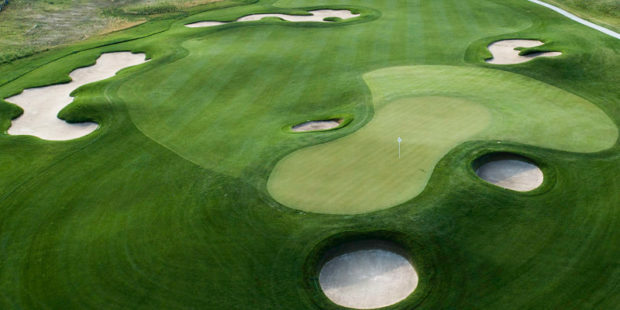 Golf tip: Semi-private Telluride Golf Club is a 6,574-yard beast celebrated for its 14,000-foot vistas of the San Juan Mountains. 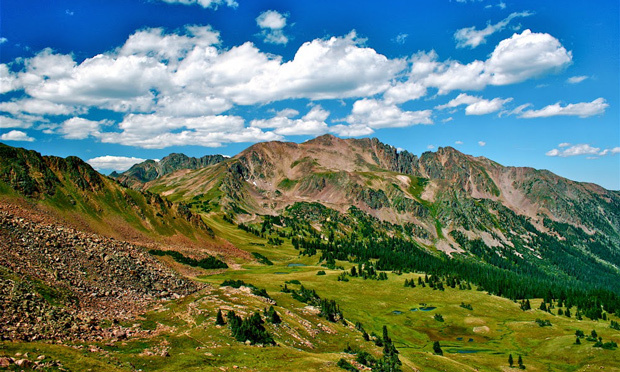 2) Views of singular, top-of-the-world peaks come fast and furious via North America’s highest continuously paved road — 12,183-foot-high Trail Ridge Road — which serpentines through Estes Park, flirts with the headwaters of the Colorado River in Rocky Mountain National Park, then reaches a grandiose climax at the state’s largest natural lake, Grand Lake. 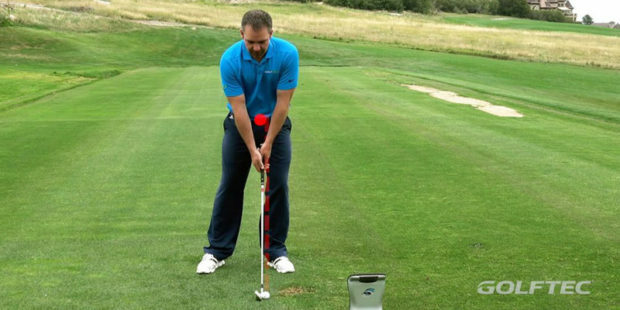 Golf tip: Swing for the stars at Grand Elk Golf Club in Granby, a high-altitude design crafted by Craig Stadler and Tripp Davis. 3) Double your pleasure on a trip to Aspen. 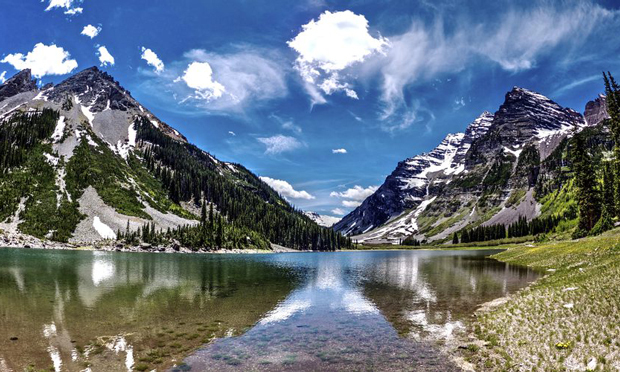 First traverse 8,762-foot-high McClure Pass and bask in the stunning vistas of the Elk Mountains, then motor into Aspen’s adjacent White River National Forest to witness one of the world’s most iconic mountains, the 14,000-foot Maroon Bells. 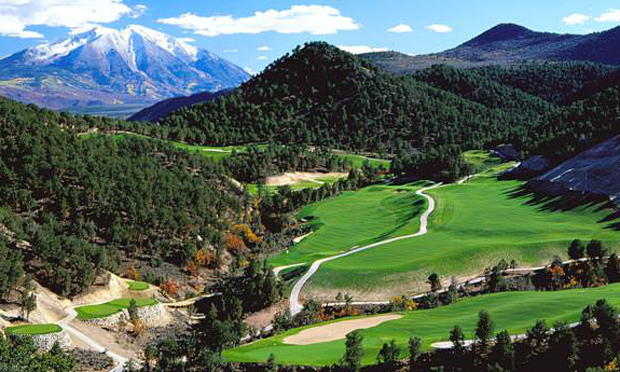 Golf tip: Many of the area’s highly ranked courses are members only, however a great test awaits at semi-private Ironbridge Golf Club (Arthur Hills/Tom Lehman) near Glenwood Springs. 4) Rabbit Ears Pass in northwest Colorado receives considerable fall-foliage fanfare, but make time to drive Buffalo Pass just west of Steamboat Springs. This eight-mile dirt road up the Continental Divide offers eye-candy aspen glades and a Nikon-prompting payoff at Summit Lake. 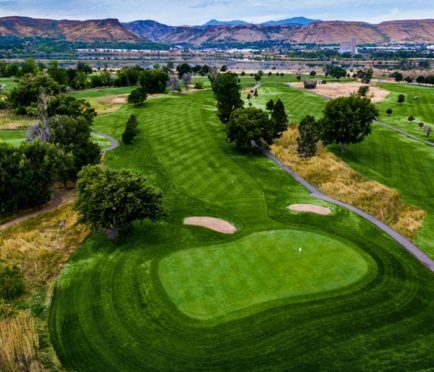 Golf tip: Haymaker Golf Course (Keith Foster), owned by the City of Steamboat Springs, is one of four terrific tests in this premier, four-season destination. 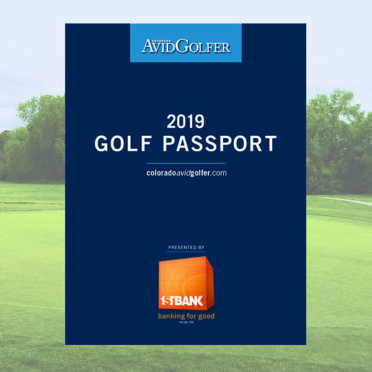 Bonus tip: Don’t forget to take full advantage of statewide discounted tee times (and inclusive carts) via the Colorado AvidGolfer Golf Passport.